In this segment we are going to "Install WiFi Tor HotSpot on Raspberry Pi 3 Model B+ inside DietPi"
What is WiFi Tor HotSpot ? Tor is free software for enabling anonymous communication. The name is derived from an acronym for the original software project name "The Onion Router". Tor directs Internet traffic through a free, worldwide, volunteer overlay network consisting of more than seven thousand relays to conceal a user's location and usage from anyone conducting network surveillance or traffic analysis. Using Tor makes it more difficult to trace Internet activity to the user: this includes "visits to Web sites, online posts, instant messages, and other communication forms". Tor's intended use is to protect the personal privacy of its users, as well as their freedom and ability to conduct confidential communication by keeping their Internet activities from being monitored. WiFi HotSpot - Turn your device into a wireless hotspot/access point. Tor HotSpot - Optional: Routes all WiFi HotSpot traffic through the Tor network. Now, navigate to Software Optimized and select WiFi HotSpot & Tor HotSpot by using the Spacebar and press OK.
After that you need to follow the on-screen instructions to finalize Tor HotSpot setup. If you see this screen that means you are not connected to your Tor Hotspot or something went wrong. If you are connected to Tor Hotspot you will see this screen. First of all we need to type dietpi-config, that will take us to the dietpi configuration secreen. Then we need to navigate to Networking Options: >> Adapters, then select WiFi. After that you can change your SSID and Security Key from here. It is highly recommended you set the Country Code to your country. Depending on your country regulations, this could allow for channels 12/13 and increased power output (range) for the hotspot. 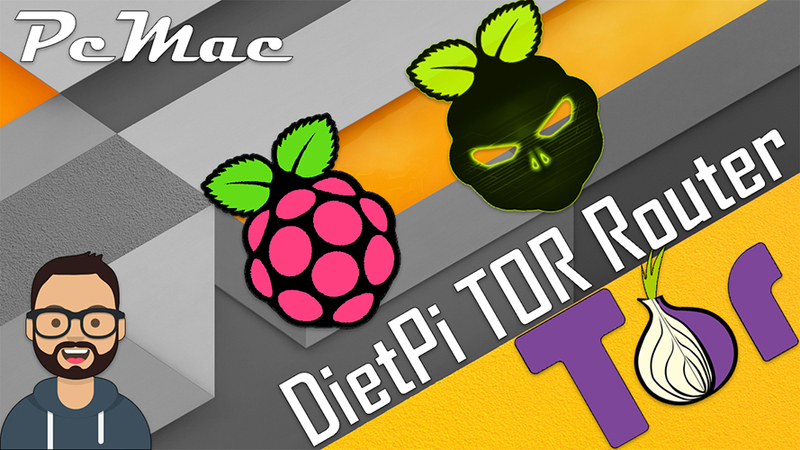 Now, You are ready to use Tor WiFI HotSpot with DietPi on your Raspberry Pi.